Underground hip-hip can be a battlefield. Amidst the chaos Johnathan Toth from Hoth and Tucker Booth stand tall as generals of the infamous Frozen Foods Section. In the back of their Jeep, manning the 50 caliber machine gun with an itchy trigger finger, endless ammunition, and a cooler full of cold Budweiser stands Jonezy, and they’ve got their cross hairs on the industry. Justin “Jonezy” Jones is a hustler-which lots of people claim, and sometimes the title carries an undertone of dishonesty, but not in this case. The following achievements have earned Jonezy the rank of a true hustler. First and foremost his own music. After writing for nearly half his life, he has developed an inspirational style that’s like Saint Louis Bar-B-Q with a moonshine chaser, mad flavor with just the right amount of sting. Secondly, he co-emcees with St. Louis rapper Original Sin in the Hip-Hop/Reggae dub band Red Zero. You can find them performing at Busch Stadium for the best Cardinals pre-game party in the city. Third, he is the Promoter/Host of 2nd Story Saturdays, a monthly Hip-Hop show featuring Saint Louis’s hottest artist and most dedicated crowd. This celebration of music and life has quickly become a sought after place to perform and break new music. It’s held at Llywelyn’s Pub in the Central West End, STL. Forth, he’s a self-made graphic designer making flyers and posters for his own projects, as well as filling orders around the city for others doing the same. Fifth, Jonezy is a determined activist. By that, I mean he doesn’t just talk about what would help a situation, he donates funds. A portion of proceeds from the last 2nd Story Saturdays went to the Leukemia and Lymphoma Society and the December event will include a food drive. Sixth, he works full-time as a travel agent which enables him to book cheap hotel rooms when he’s on the road performing. On top of all this he also holds a degree from Southern Illinois University Edwardsville with a double major in marketing and management. Jonezy is also a football star, a ping-pong champion and a shrimp boat captain (Ok I was just kidding about the last three). These organizational skills, coupled with his raw talent for turning life into art, have allowed him to spin a web of projects that all seem to support each other- in other words Jonezy is building an empire, and there is no harder foundation that than Saint Louis concrete. This is how he earned the name “Mr. Fillintheblank” (also the title of his latest album). 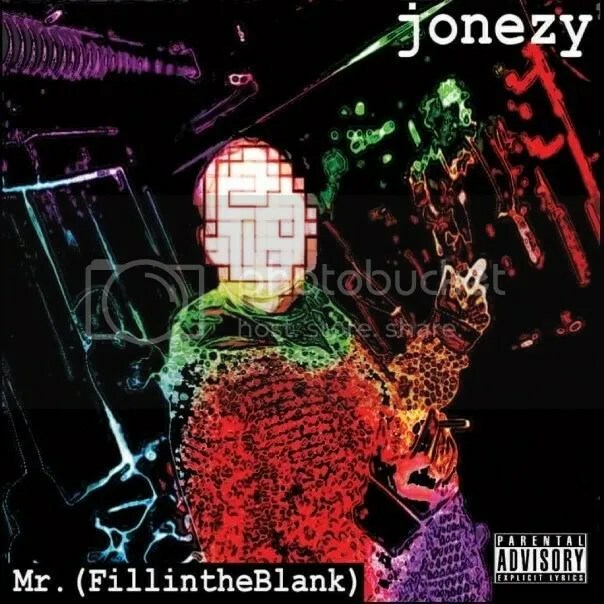 This 14 track journey is Jonezy’s personal position on life and music, with a healthy dose of let loose party tracks Jonezy keeps it poppin’ while giving you an artist’s view on the world. Produced by Capo, Ben Bounce and Trifecta (Recent winner of the regional Red Bull Big Tune beat challenge) and others. Mixing and mastering was done by Jonathan Toth in Frozen Foods Studios. Jonezy’s perfectionist approach, mixed with Jonathan’s wild card creativity created a technically sound album with a loose groovy feel. This album is completely organic to Saint Louis with no additives and no apologies. You can listen to the finished product and get physical copies by clicking the first image for Jonezymusic.com. On the horizon for this aspiring mogul is three more albums in the works. The second solo joint will be called “CO$TOMBS” a concept album with a broader sarcastic approach than the more personal “Mr. Fillintheblank“. The new album will deal with what people give up of their true self to get what they think they want. Nearly complete “CO$TOMBS” will be released shortly after the new year. The other two albums are collaborative projects. The first is with fellow Frozen Foods emcee HearsKra-z whose own album “Carnival of Sols” is one of the most progressive midwest albums of 2010. The album title has yet to be settled on but the release date is projected to be mid 2011. 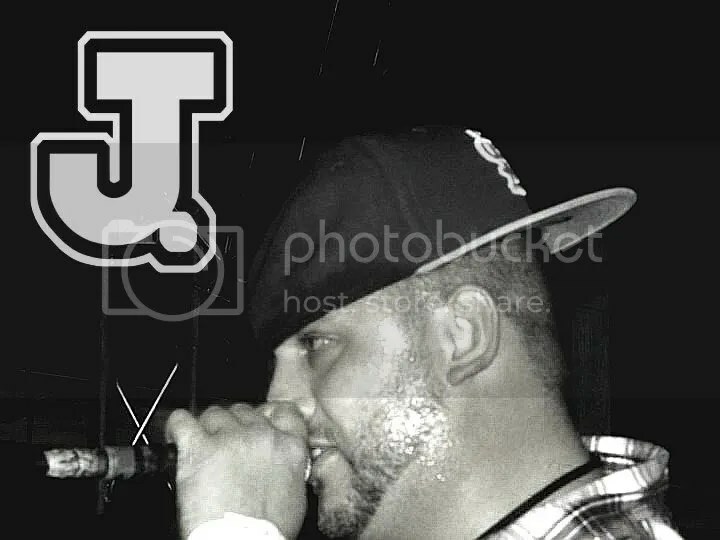 Also already underway is a full Jonezy album produced by and featuring Loose Screwz of East Saint Louis super duo Scripts N Screwz who have been hittin hard on the local scene. With all this self-made momentum, just count on hearing from Jonezy. He puts it best himself “It’s to be seen if I got that mass appeal/but best believe I got some rappin skills”– Jonezy. I wouldn’t steer you wrong, Peace out – Sikboy. It’s a great video everyone check it out.